Purpose: To get the results you want. 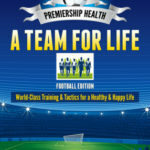 Forgive me for stating the obvious, because it is often the obvious that is overlooked, but if a Team is to be successful in life it needs to score some goals. Not dream or hope or wish, but actually bang the ball in the back of the net. Yes, you might start off with a few tap-ins to build up the confidence, but, if you really want to set the game alight and experience the true power and glory of life, then for god’s sake make ‘em big and meaningful! 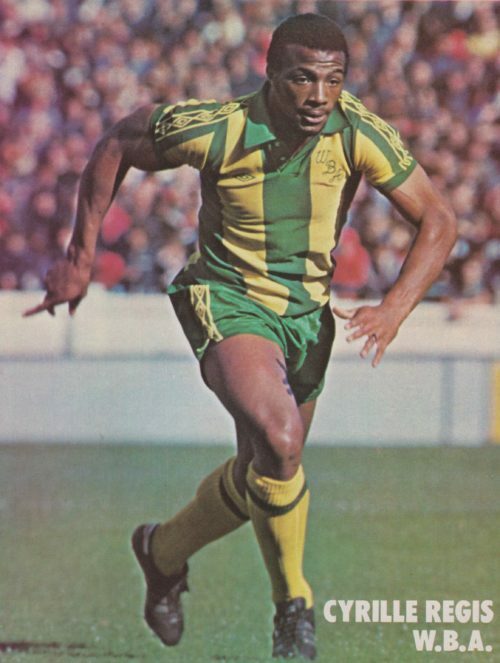 From a non-league footballer to the “sine qua non” of many footballers today, Big Cyrille was a legend on and off the pitch. A larger than life superhero, blessed with the superpowers of humility and a bullet of a right foot. He could disarm defences with both his explosive power and million dollar smile and score a few spectacular, jaw dropping goals in the process. It’s safe to say that lots of goals are good, but very few are important. Cyrille knew how to score the important goals, the ones that stir the emotions and remain in the heart forever. That ‘Goal of the Season” against Norwich in 1982, the FA cup QF goal for Coventry in 1987 and that “oh what a goal” scorcher against Man Utd, in the now legendary encounter at Old Trafford in 1978. Regis, was important to his family, to his fellow footballers, to the supporters who worshipped him, and important to me, in a way no other footballer could or ever will be, not even close. He represented my dreams as a young kid starting off on the playing fields of life, innocent of the stresses and hardships of adulthood, striving to find my strengths and purpose in life. And then later, he represented my goals as a doctor, trying to make a difference, when faced with seemingly unsurmountable odds, in an environment crippled by chronic diseases, threatening to destroy the holy trinity of medicine; the doctor, the patient, and the health system. The big man had his own holy trinity of; family, football, and faith, for which he fought the good fight with all his might, and to his eternal credit, scored important goals in all three. He set the crossbar high, and to me, will always be the greatest goal scorer. I am not ashamed to say that I shed some tears when I heard about his death, and not just for the man himself, because I know he is in a happy place, leading the frontline of the Heaven Xl, with a smile and a swagger. But, also for a part of my childhood that died with him that day. The idealism and hope for a brighter future that inhabited the dreams of my youth, gone, but not yet forgotten. The dream of the goal is the easy bit, the hard part of actually scoring them, is what this game is all about. There is only one Cyrille Regis!